Vegetables are high in vitamins and minerals and low in calories. Nutrient dense foods like veggies are important to overall health and weight management as they offer the vitamins and minerals you need and give you a sense of fullness so you will snack less on junk food. shred zucchini or carrots and add to your salad, sandwich or favorite muffin or meatloaf recipe. Spend 30 minutes a week to wash and cut up veggies such as carrots, celery, cucumbers and store them in your fridge. I like to store my carrots in water. When vegetables are prepped, you can more easily take them along with you and munch on them throughout the day. Your kids may also snack on them more frequently if they can readily access vegetables from the fridge! Wash and spin 2 or 3 heads of lettuce (romaine, green leaf, red leaf, spinach, kale), wrap in a clean tea towel and store in fridge crisper for the week. 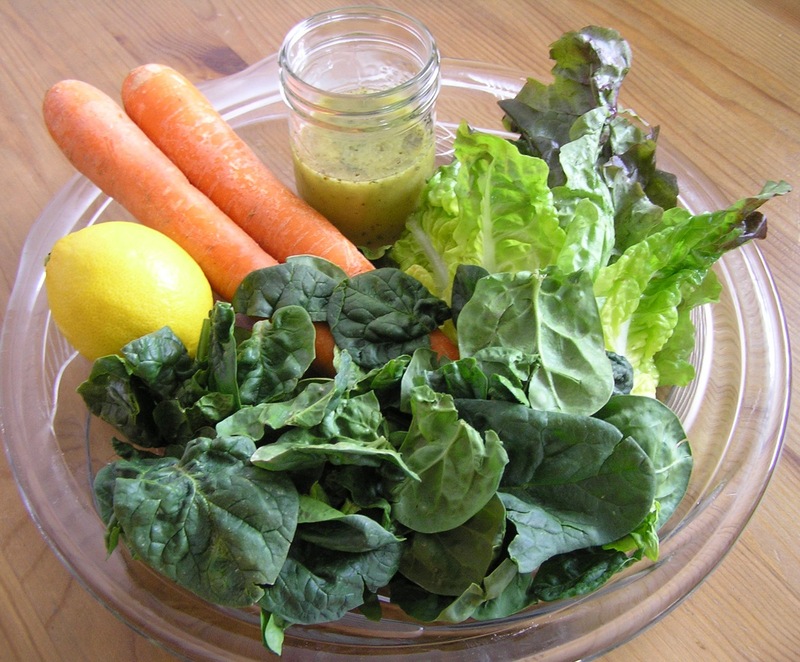 You can quickly add a salad to your lunch and dinner with clean lettuce in the fridge. Thinly slice and dehydrate carrots, sweet potatoes, beets, and other root vegetables or kale. You can use a food dehydrator if you have one or follow the instructions on using your oven – see this link for further instructions (http://recessionreadyamerica.com/2009/09/how-to-dehydrate-food-using-your-oven/). Place ingredients in a mason jar. Mix and store in fridge. Change up ingredients to suit your taste. Other beneficial oils to use are flaxseed and hemp or a mixture. You can also use maple syrup instead of honey. 4 Responses to Is your goal to eat more vegetables?